Celebrity Millennium will be overhauled in February 2019; all cabins will be redone, Michael's Club will be transformed into the Retreat Lounge for suite passengers, and Cellar Masters will be transformed into a gastrobar. 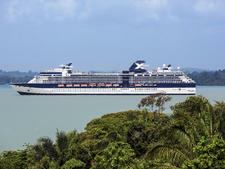 Celebrity Cruises has a saying that's chanted at HQ and aboard its ships during staff meetings: "Happy crew. Happy guests." The phrase aptly describes Celebrity Millennium. During our voyage, we were continually struck by how happy, friendly and caring every single crewmember appeared to be. No matter if we were interacting with a maitre d', waiter or sommelier; a guest services representative; or our cabin steward, every single staff member made sure our needs were met and our expectations exceeded. Those human connections elevated the experience and made us feel at home aboard the ship -- starting on embarkation day when we were invited to enjoy a special lunch for Concierge Class passengers in the main dining room. 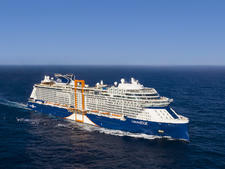 Celebrity Millennium is not one of those brand-new mega-ships with rock climbing walls, surf simulators and craft breweries. 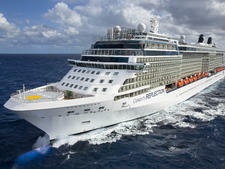 But, despite its age (the ship launched in 2000) and manageable size, Millennium still shines. 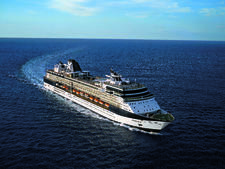 The cruise line has maintained the ship well, and in 2012 it was "Solsticized" with a renovation that upgraded public areas and staterooms (including the addition of AquaClass accommodations), and installed some of the company's most popular specialty restaurants along with the Cafe al Bacio coffee shop and gelateria. The line also improved the ship's ADA-compliance, so guests can expect things such as improved wheelchair-accessible cabins, ramps in shops and a lower guest relations desk. While staterooms and some common areas are ready for another refresh, you'll find yourself continually remarking about the ship's beauty. 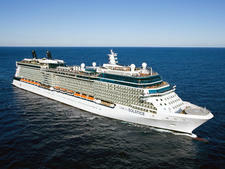 Celebrity Millennium is just the right size, with a double occupancy of 2,158 passengers; it's small enough that the ship feels intimate but large enough to support multiple fantastic restaurants, lounges and a true theater experience. As you walk around the ship, you'll appreciate details like the tortoise-shell onyx staircase that's the centerpiece of the atrium between guest services on Deck 3 and the Martini Bar on Deck 4; the exterior midship elevators that offer panoramic views of the ocean; the soothing Cosmos Lounge/observation deck with stage, dance floor and wraparound floor-to-ceiling windows; and the expansive two-level Metropolitan Restaurant (main dining room) that's decorated in an elegant motif that mixes modernism with Art Deco flourishes. Beyond being a knockout in the looks department, Celebrity Millennium is incredibly well run. 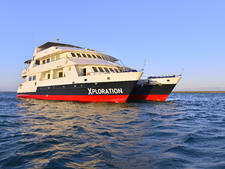 Shore excursion operations have been perfected and the line for independent tender tickets is quite manageable, even with the ship at full capacity. The main dining room absolutely hums at dinnertime, but instead of being chaotic, the wait staff are friendly while being efficient. And the specialty restaurants make you feel like you're dining at a five-star restaurant on land. 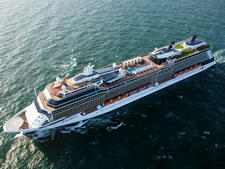 Sure, we could quibble about some furniture that needs to be refreshed or the lack of USB outlets by the bed in cabins, but the overall beauty of the vessel, the acumen of the crew and the incredible, value-oriented itineraries make Celebrity Millennium an absolute winner. 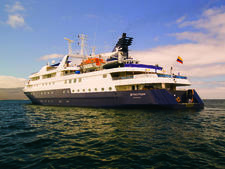 Who you meet aboard Celebrity Millennium depends on when and where you sail. 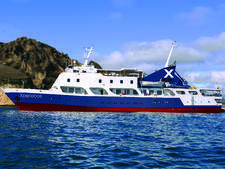 The ship offers two-week-long Asian itineraries from September through April. 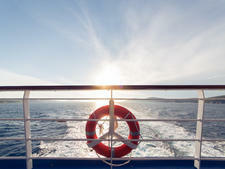 During those voyages, you're more likely to meet international travelers. On our Singapore to Hong Kong cruise, we met well-traveled Americans, Canadians, Brits and Aussies as well as couples and groups from France, Germany, Singapore, China and Japan. There were a fair number of solo travelers, too. Passengers were mainly in their 50s, 60s and 70s, though we did meet a few families with children (the cruise coincided with Chinese New Year) and a few individuals in their 80s. 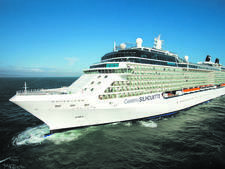 Expect a younger crowd, as well as families and multigenerational groups, when the ship sails seven-night Alaska itineraries from May through early September. Cruise Critic’s professional photographers and our extraordinary community members have taken 1,690 pictures of Celebrity Millennium. When you visit our photo galleries, you can be assured that what you see is what you get. During the day, comfortable, region-appropriate attire is the norm. Feel free to wear shorts and T-shirts or other casual clothing around the ship. Note that you can't wear swimsuits, flip-flops, robes, tank tops or baseball caps in the main dining room or any of the specialty restaurants, and no shorts or flip-flops are allowed at night unless you are dining at the buffet (and that is enforced). In the evening on select nights, Celebrity has eschewed formal night and replaced it with something called "Evening Chic." Women are invited to wear a cocktail dress or a skirt, pants or designer jeans with an elegant top (think something sparkly or lacy). Men will be comfortable wearing pants or designer jeans with a collared shirt (or sweater in chillier climates). Sports coats or blazers are optional. 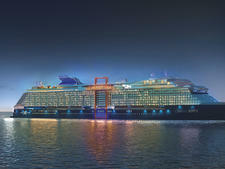 All seven-night cruises feature two Evening Chic nights. Many passengers wore their fanciest duds on the Evening Chic nights that coincided with the Officer's Soiree and Portrait Night with the Captain. 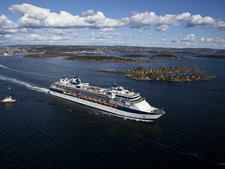 On all other evenings of your cruise, the dress code is "Smart Casual," meaning skirts, pants or jeans paired with a casual top for women and pants or jeans and a sport shirt for men. The daily program delivered to your cabin each evening will explain the correct attire for the next evening. Gratuities are automatically added to your onboard account (although some people choose prepaid gratuities as one of their booking perks). 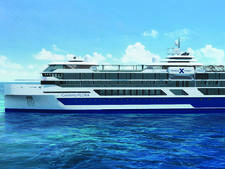 Gratuities are $14.50 per person, per day in standard staterooms; $15 per person, per day in Concierge Class and AquaClass cabins; and $18 per person, per day for those staying in suites. 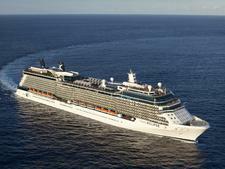 Gratuities are shared by restaurant and stateroom staff. You can adjust the gratuity by visiting the Guest Relations desk. Note that an 18 percent gratuity is also added to all beverages, mini-bar purchases and spa/salon services. Feel free to tip above and beyond the 18 percent if you feel the service warrants it.